On Wende Across America our online listener's will discover magical out of the way hidden hideaways, in-city gems & treasures and exciting adventures around every corner. From week to week, we explore a different part of the country and experience the local flavor each area has to offer. We visit Luxurious - Romantic Inns and B&B's as well as fabulous restaurants, cafes and gracious chefs who share delicious recipes with us along the way. Our monthly podcast also includes entertainment news, movie reviews and more. We also have helpful ideas from our resident travel expert to plan that perfect getaway. At Wende Across America, we pride ourselves in finding interesting trivia and fun history about the area including the 'best kept secret' which can be anything from a killer slice of pizza in the city... to a beautiful 'must see' garden getaway on the edge of town. One thing is for certain...the common thread though out all of our shows is a good old fashioned slice of Americana. 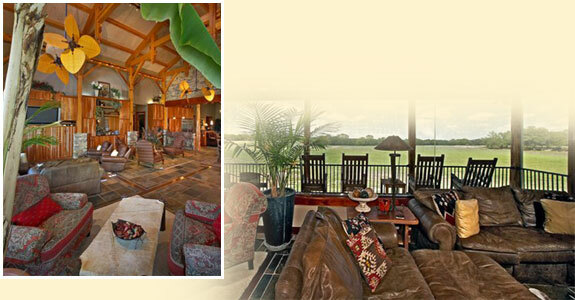 The Zafara Lodge greets you as the focal point of the resort. Once you enter in you will understand why. Most are drawn to the wall of glass where just beyond the horizon you can see African animals of all kinds grazing unaware of your presence. Go to one of the many locations in the compound and you will be served The south African wine so many are raving about. After your tasting, take your glass of wine, find a comfy spot and just enjoy. You can watch African animals graze, or you can hide under a 100 year oak tree and watch your children play in the playground as you enjoy a glass together. Pack a picnic basket that you can create at the Jubulani Gift and Grocery Co.and set out on a horse drawn carriage to explore the Serengeti. Have lunch under the shade of a massive oak tree and watch the sun settle down over the Texas Hills. Take a safari vehicle and watch the Serengeti come alive just before nightfall, it's easy to take in the breathtaking sights and sounds of exotic wildlife that surround you. Luxury comes naturally here for those seeking sanctuary. Come, relax, unwind and enjoy.